We’ll have peace and bacon thanks. Nice, kind, peaceful countries are offering safety, financial support and no war to Muslims from war torn regions of the World. Refugees suing the German government because their social security money was late (due to overload). 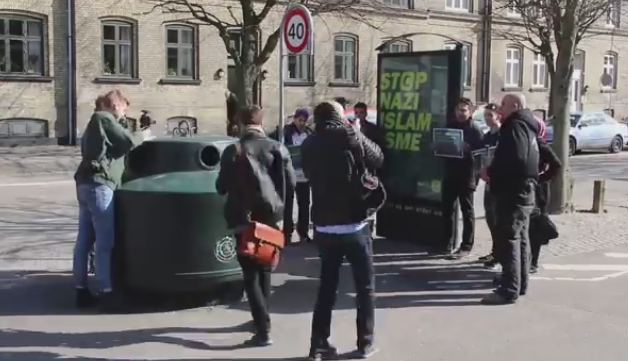 Refugees demanding Denmark implement sharia law and the Koran. You’ve just outworn your welcome. Denmark and Germany are the opposite of Syria – No war, good employment prospects, stable government and economy and nice, generous people. They have also gone out of their way to welcome and help people of a different religion who are in strife. Very Christian values. Try going to a Muslim country and demanding bacon for breakfast!. The Muslims now want to bring their savagery to these countries and destroy peace, compassion, stable government and work for all. It has to be said – GO HOME! You are ungrateful fools and do not deserve the compassion proffered. Enjoy your wars and sharia for breakfast. We’ll have peace and bacon. The survey, conducted by Wilke for Jyllands-Posten, found that over 10 percent of Muslims asked said that Danish law should be solely based on the Koran, while over one-quarter believe the country’s legislation should be a mixture of the Islamic holy book and the Danish constitution. An Aarhus-based imam, Radwan Mansour, is also in favor of having a mixture of laws from the Koran and the Danish constitution, saying that there would be no conflict between the two. If there is no conflict then why should there be two laws? “When one believes that the Koran should play an essential role in legislation and for life in society, and when one believes – as previous polls have shown – that women of a certain age should be covered up, then one does not wish to be a part of Danish society and it is delusional to act like they were here first and it is the rest of us who came later. It is incredibly rude,” said Martin Henriksen, a spokesman for the Danish People’s Party. Henriksen was referring to a recent survey, which found that 77 percent of Danish Muslims believe that the Koran should be “followed completely.” This was a 15 percent rise from when the same poll was conducted in 2006. Some clown thinks the Muslims need more time. Errr, which part of 15% rise in 9 years indicates the Muslims are making ANY effort to integrate? If your Muslim countries are so great – Please go to them right now and stop trying to ruin an advanced civilization. Keep your caveman ways to yourself.